Cole says, "What about his boots and his wristbands?" Sarah says, I love it! So funny! Cole, that first Percy drawing was what we call a "concept design," it was sort of a practice drawing. The Percy in this story has no armbands or boots, and, if you'll notice, his head is a little bigger. That first Percy looks a little older too. Maybe some day we'll see Percy get some more clothes and stuff, but not in this story. Very observant though. Thanks Chris. Clank clank. Boo-hoo!" is my favorite part of the story. This page almost makes me sorry the knight. Shoot! 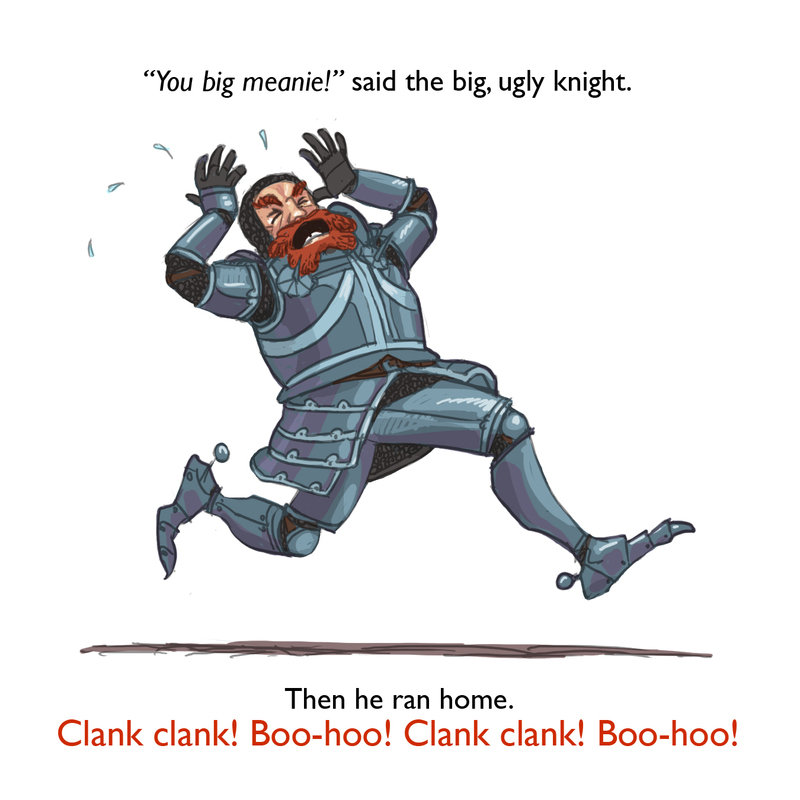 I really wanted the knight to be unlikable. The page isn't funny if you feel sorry for him. He hit Percy in the face with a guitar hero controller!